U.S. scientists at University of California, San Francisco (UCSF) have developed a new drug that can restore the function of oxygen-starved heart tissue under the conditions of hypoxia, according to the results of a new study released over the weekend. The new drug called OMX-CV was developed by Omniox, Inc., one of the first biotech startups launched in the incubator space on the UCSF’s Mission Bay campus in 2010.
precious oxygen cargo only to the tissues that need it most. “Any tissue with compromised blood flow, whether due to trauma, stroke, or heart disease, could potentially be targeted by a treatment like this,” said Emin Maltepe, associate professor of pediatrics at UCSF and co-senior author of the study. Unlike hemoglobin-based drugs that sometimes pump excess oxygen into blood, which produces adverse side effects, OMX-CV sidesteps these problems by employing an engineered bacterial protein known as H-NOX as its base, rather than hemoglobin. Maltepe and his team modified the chemical structure of H-NOX proteins and reengineered them to hold tight to oxygen, but leave nitric oxide alone. 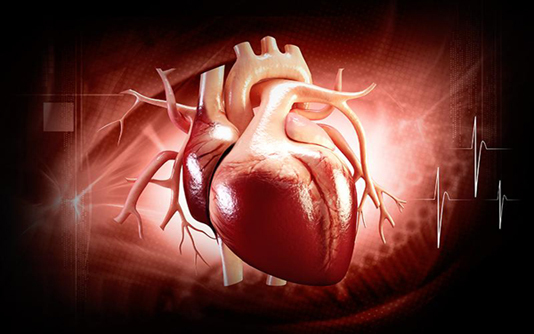 “OMX-CV is fine-tuned to only release oxygen under pathologic conditions… Relatively small doses of the drug transform the capacity of the heart to keep up in the face of severe hypoxia,” said Ana Krtolica, vice president of research at Omniox and co-senior author of the study.